Casey, T.L. 1924. I - Additions to the known Coleoptera of North America. Memoirs on the Coleoptera, 11: 1-347. 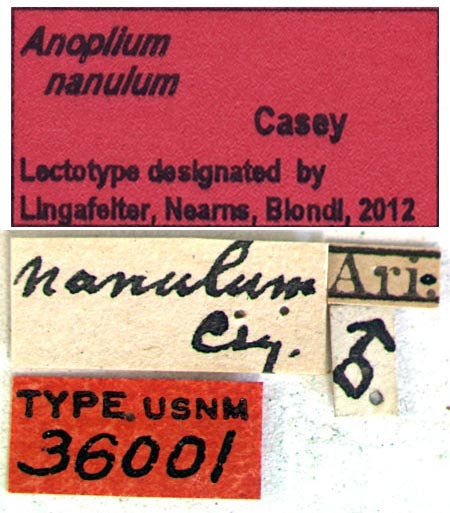 This specimen is herein designated as the lectotype in order to stabilize the taxonomy and facilitate further identifications of this species.